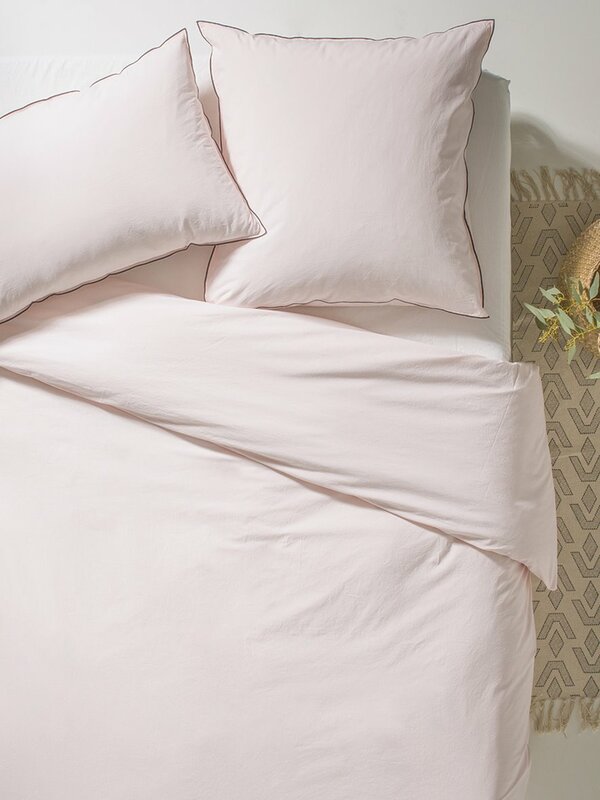 Plain duvet cover with tuck-in flap. Machine wash at 40°C. No need to iron. Made in Portugal. 100% cotton percale (80 threads/cm²).